Some Leesburg, Virginia, residents say they feel uneasy after a white nationalist known for his role in the Charlottesville riots was arrested in their community. 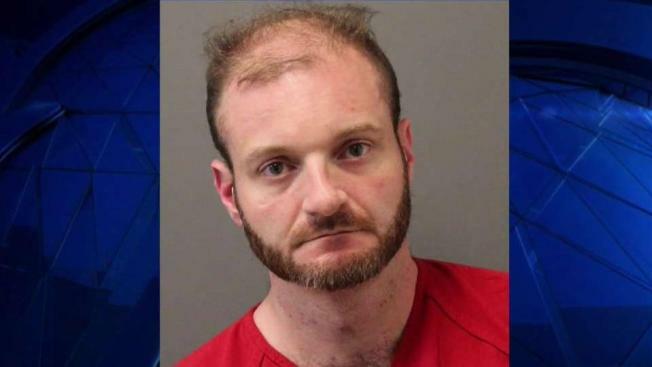 Christopher Cantwell, was arrested on March 31 and charged with public swearing and intoxication, according to court records. Leesburg police said he was drunk in public in the 500 block of Market Street. He was later released. Cantwell appeared in court in Charlottesville on Thursday and a judge ruled he could not be released again until he had an alcohol monitoring bracelet. A man identifying himself as Cantwell returned a phone call to News4 later Thursday and said he had already received the bracelet. He would not confirm if he was going back to Leesburg. The arrest has worried some Leesburg residents. "Obviously he was drunk. So, what were you doing here late at night, also? That's not welcome in this area," resident Meghan Fox said. Cantwell became the face of the violent Unite the Right rally in Charlottesville in August 2017 after a VICE news video focused on the white nationalist. He was charged with illegally using tear gas at the rally. After he was released from jail on bond in December, he moved to Leesburg. Cantwell said to News4 he had "no interest in political actions in Leesburg" and wanted to focus on beating the "frivolous" charges against him in Albermarle County. Court documents say Cantwell lives in the Bellmeade Farms apartment complex on Gateway Drive SE. Law enforcement sources told News4 they were given a heads up the controversial figure was in town. Loudoun County NAACP President Phillip Thompson said he was upset that police didn't let him know sooner. "We're concerned what he's up to because of the things he says and what he's done," Thompson said. Some residents have asked if Cantwell is behind the KKK flyers that were dropped outside hundreds of homes in the area in past months. NBC 29 in Charlottesville first reported Cantwell's Leesburg arrest. "We were one of the neighborhoods that had those flyers, and as a mother of a 3-year-old, it's very disturbing," Fox said. But Loudoun County and Leesburg police said they do not believe Cantwell is connected to the fliers.